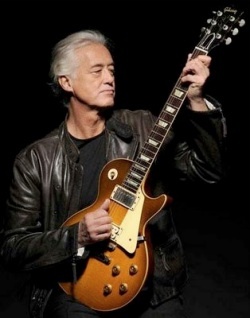 When Led Zeppelin received the Kennedy Center award, a white-haired Jimmy Page looked pleased as punch. I think this is because he deeply wants people to recognize and appreciate the awesomeness that was Led Zeppelin. My dear friend Jim Dandy sent this book to me, a pleasant surprise. Tolinski, editor at Guitar World magazine, weaves together the interviews with Page with interludes about such matters as his interest in magick, his sartorial sense, his axes, and astrology. For many reasons, Led Zeppelin is the quintessential hard rock band. First is the chemistry of the band members. Led Zeppelin is more than the sum of its parts. Bonham is the foundation, with the heaviest drumming imaginable. John Paul Jones, always in the background, locks in with Bonzo on bass, and contributes greatly with composition and on keyboards. Plant screeches, but it’s the perfect vocal sound for the band. The mastermind is of course Page, with his great guitar playing, his ability to come up with memorable killer riffs, and his producing talent. While it’s heavy, I’ve always thought of Page’s guitar tone as “thin.” Compare it mentally to the “thickness” of that of Eddie Van Halen. But this thin tone jibes perfectly with Bonham’s drumming. The book proceeds chronologically, starting well before the Zeppelin years. It covers Page’s early bands, his work as a studio session musician (he learned to read music, which he refers to as crows sitting on wires), as well as his time with the Yardbirds. I always imagined that Jimi Hendrix arrived in London with his full bag of tricks, but I realize now that Eric Clapton, Jeff Beck, and Page were experimenting with feedback, effects, and loud volume (the cornerstones of modern rock guitar) before Hendrix arrived. In my opinion Hendrix took these new tools and took the guitar to another level. Hendrix as we know him wouldn’t have been possible without the innovations of Clapton, Beck and Page. The heart of the book is the Zeppelin years. Led Zeppelin was Page’s life. He poured himself into it whole-heartedly. He paid close attention to all details: the sounds of the different instruments, the production, the showmanship, and the songwriting. While there were groupies, drugs, booze and all sorts of off-stage shenanigans, Page was all business when it came to the band’s music and stage show. Tolinski’s book touches on many of these extra-musical themes, but in general focuses on the music. Unfortunately, Bonham’s death meant (for the most part) an end to Led Zeppelin. The feeling was pretty much unanimous that the chemistry could never be the same without him. The last part of the book covers Page’s varied post-Zep projects: collaborations with Plant, the Black Crowes, David Coverdale (“let me just slip into something more uncomfortable”), Sean Combs, etc. For me, the last part is probably the least interesting part. The book is an easy read and probably essential reading if you are a Led Zeppelin fan. There are occasional corny turns of phrase (“…Page and Plant went their separate ways … like two feathers in the wind.” – I wonder if that’s an illusion to some Led Zep lyric), but not enough to be annoying. All in all, a good read. Once I got (rocking and) rolling on it, I finished it in three days. I checked it out Jim. Nice.